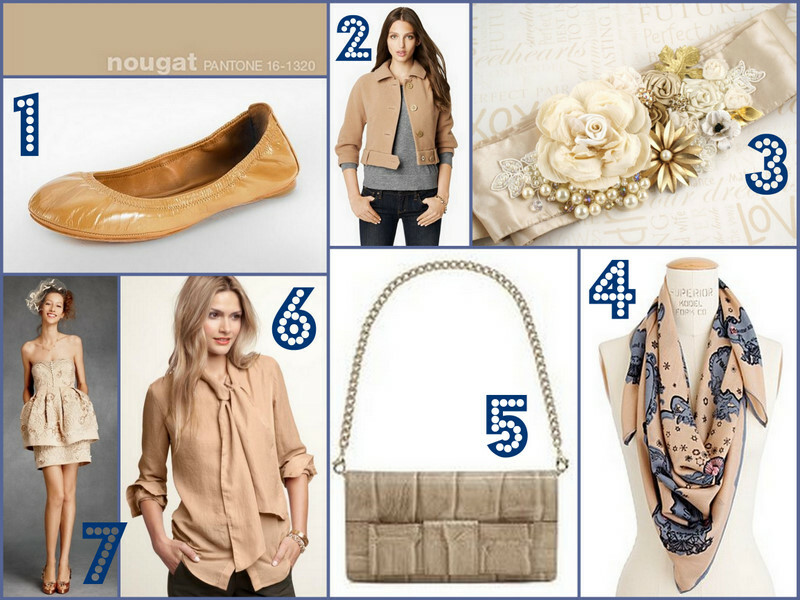 What in the name of fashion is a nougat?! Doesn’t even sound hot. Or chic. Or sweet. Or wearable, for that matter. Soothing, right? And totally wearable – a nice base to start from when transitioning from the white, blazin’ heat of summer into the coolness of fall. Once again, Madewell scarves are the way to go – if you’ve never checked out their merchandise (they’re J.Crew‘s sportier sister company), I recommend starting with their unique collection of vintage-esque, lively printed wraps. Other things I dream about: that BHLDN cupcake dress (who doesn’t wanna wear something that goes by the name cupcake?!). Take a looksie of that up close if you get a chance – the embroidery and articulate beading around the bust will amaze! And as for that vintage bridal sash – I love buying these things off Etsy! Carefully handcrafted and awesomely unique (not to mention quite a bargain compared to commercial wedding retailers), I’d wear this bejeweled lover over a plainly tailored jacket any day! Can you see where this love affair is only just beginning?